My private fishing boat trip started off from Cayagiz (modern Andriake) near Demre. The advantage of going to Kekova with a small fishing boat is that you can actually approach the sunken ruins off the shore of Kekova and observe them at close range. The pier at Simena. In the centre of the photo is the little fishing boat 'Bayar', with which I toured the Kekova and Simena. 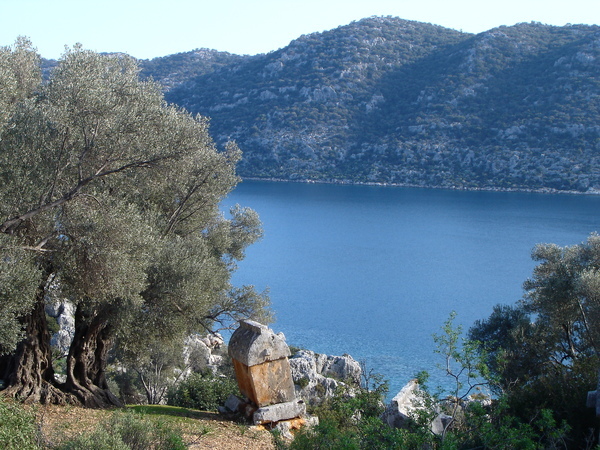 Andriake is the site of the ancient harbour of Myra, located about 5km away from present-day Demre. Today it is a small, peaceful harbour with a few small cafes and restaurants. In the summer, there are regular boat excursions to the nearby Kekova island and the pretty village of Simena. Personally I think the sceneries en route from Andriake harbour to Kekova are much more impressive and interesting than when coming from the direction of Kas. In the winter, most of the traditional wooden gulets are on shore for maintenance and repair works, thus it was not easy to find someone willing to offer Kekova-Simena boat trips at an affordable price. Big boats will cost you at least 200 euro for a 2-3 hour tour - it's not worth it unless you have a group of 5 or 6 people to share the rental costs. When I arrived at Andriake harbour, I did not really expect to find any boat trips to Kekova, but sometimes things happen when you expect them the least: a captain agreed to take me on a full-day tour of Kekova and Simena for just 50YTL on a small fishing boat. He probably finds it amusing that someone actually visits Demre and Andriake in the middle of January. 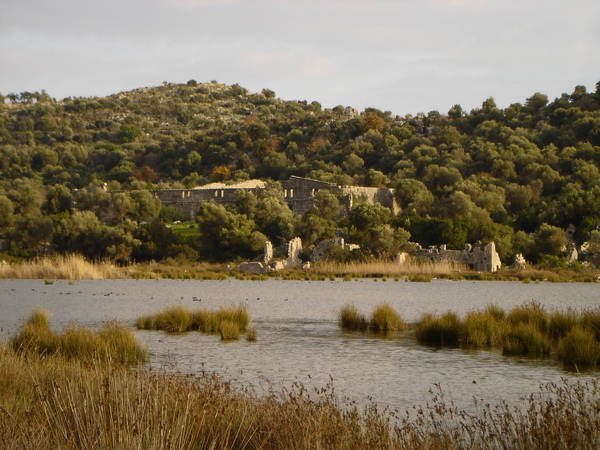 The ruins of the harbour town of Andriake. For those of you who have always believed that St. Nicholas a.k.a. Santa Claus lives in Lapland, Finland, sorry to disappoint you: he is actually from Turkey, and his place of residence is a sunny, hot seaside town called Demre (called Myra during his lifetime) which has neither snow nor reindeers. 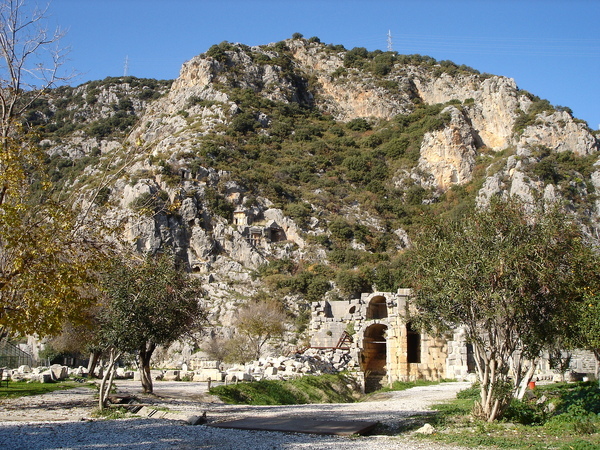 Myra (present day Demre) was an important trading town in ancient Lycia during the Roman times, and St. Nicholas - born in Patara near present-day Fethiye - was the bishop of Myra who became famous for his kind deeds towards the poor and the needy. The ruins of Myra is located about 3km inland from the modern town of Demre (about 20-30 minutes by foot). During the summer, many Russian tourists came to Demre for a one-day pilgrimage to the sacred St. Nicholas Church to pay homage to Russia's most beloved Saint (St. Nicholas is the patron Saint of Russia). The little square in front of St. Nicholas Church is full of shops catering especially to Russian tourists and pilgrims, selling everything related to St. Nicholas. The ruins of Myra with the famous rock-tombs and the amphitheater. The walk from Demre town centre to Myra passes through some pleasant scenery and lots of tomato green houses. The region surrounding Demre is one of the most important areas of production of tomatoes and citrus fruits (lemon, orange etc) in Turkey. Everywhere you can see rows after rows of green houses. 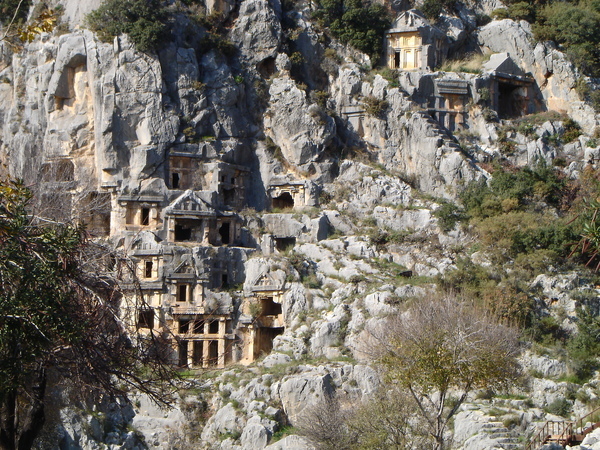 A close-up shot of the Lycian rock-tombs carved into the cliff face. Although I am a fan of rail travel, I seldom travel around Turkey by train, because many of the places I wanted to visit cannot be reached by rail. Travelling by train in Turkey has something romantic and sentimental about it: it brings one back to the golden age of epic train journeys immortalised by films and novels, when the legendary Orient Express was the epitome of travelling in style. Which is why I decided to take the opportunity to travel with the overnight sleeper 'Curukova Mavi Espress' from Ankara to Adana. Initially I had wanted to take the overnight sleeper train from Istanbul's Haydarpasa Station all the way to Adana, but this train has been suspended until autumn 2009 due to engineering works on the rail tracks between Konya and Adana. So I had to choose between going by sleeper train from Istanbul to Konya, then change to a day-time train to Adana; or to go via Ankara. Haydarpasa Train Station, located on the Asian side of Istanbul, near Kadikoy. 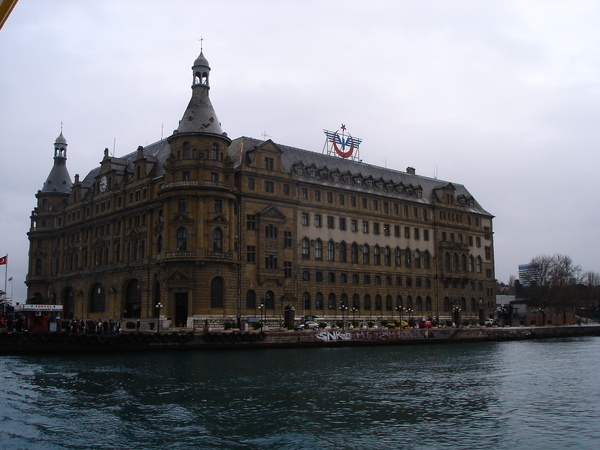 Haydarpasa Station also has its own IDO ferry terminal. There are regular ferries across the Bosphorous from Haydarpasa to Eminonu or Karakoy. At least a dozen companies serve this route and competition is fierce; in Dec 2008 I travelled from Istanbul to Ankara with one of my favourite Turkish bus companies, Kamil Koc. The journey took 6 hours and cost 40YTL. The price is about 5-10YTL more expensive than other bus companies; I tried to negotiate for some discounts, but to no avail: because the bus used for that particular departure is more up-market and spacious than ordinary buses; instead of the usual 2-2 seating arrangement, this particular bus adopts a 1-2 seating configuration. As a result, there are more legrooms and space between each seat, and it makes the journey much more comfortable. 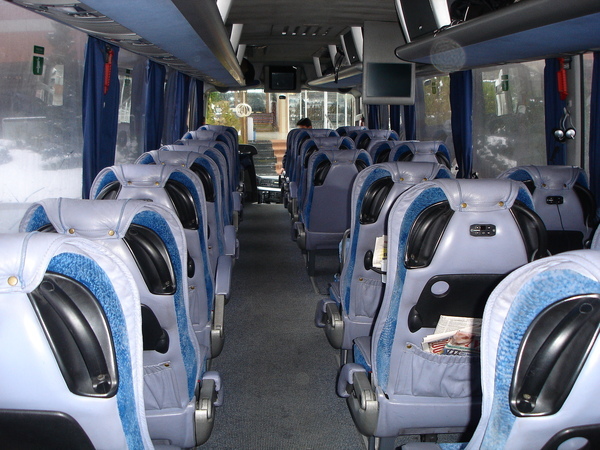 In addition, wireless internet is available on the bus if you have your own laptop with you, which allows passengers to surf the web during the journey. The in-journey snack service offers more options than what are otherwise available: cheese sandwiches, a wide selection of pastries and snacks as well as several kinds of fruit juice and other beverages. 下午到達 Antalya 之後,隨即換車到 33km 外的 Kemer.因為從未來過這裡,不知道會逗留多久,所以沒有預訂旅館,想說到了再找就有,反正 Kemer 是一個相當有名的度假小鎮,就算是一月淡季,應該還是會有幾間旅館或者民宿照常營業的吧?? 1. I feel more 'normal' walking around in Urgup because until now, nobody tries to persuade me to buy something from them. 2. The kind of shops and restaurants available in Urgup are more 'normal' - i.e. they are those kind of shops that ordinary Turks do their daily shoppings, unlike those in Goreme, which cater only to foreign tourists and international backpackers. 3. In spite of the fact that hotels in Urgup are more expensive and more up-market than those in Goreme, prices for dinner, grocery etc. are cheaper than in Goreme. 4. People working in the tourism sector in Urgup are, according to my experience, less pushy and less aggressive than those in Goreme. Since Urgup is a far bigger town than Goreme, bus services to and from neighbouring Kayseri, Nevsehir as well as other towns and villages in Cappadocia are much more frequent and convenient than those available from Goreme. This means :the chance of foreign tourists being conned by taxi drivers or bus companies becomes less likely. 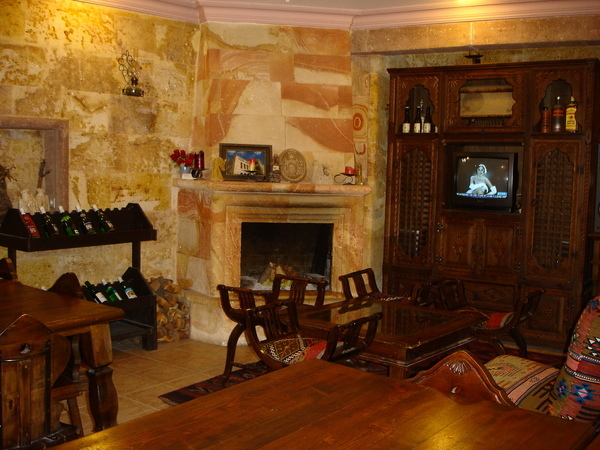 During my most recent visit, I stayed at Akuzun Hotel, in the centre of Urgup. 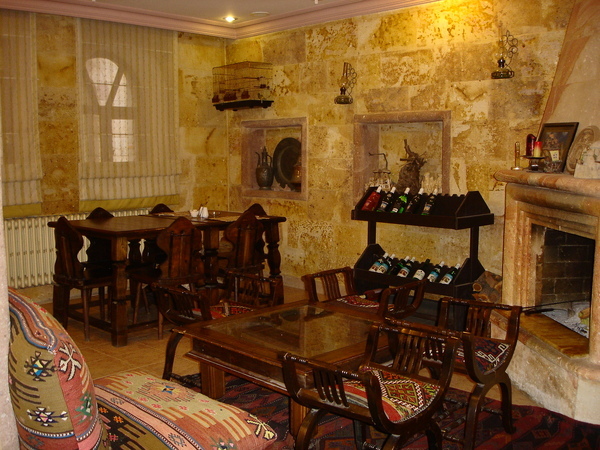 The hotel is about 100m from Urgup bus station, 50m from the local hamam and shops. Price for single room (en suite with breakfast, balcony and free WiFi internet connection) costs 25 euro. The service is good, and they do not coerce you to buy any excursions from them. I did not book any tours with them yet they are still friendly and polite. Comfortable and elegant sitting room with fireplace and traditional furnitures. Most people from outside of Turkey know about Konya because of the Mevlana Sect, the Whirling Dervishes and the 'Sema' dance ritual. The reason I decided to visit Konya has however less to do with the Mevlanas. 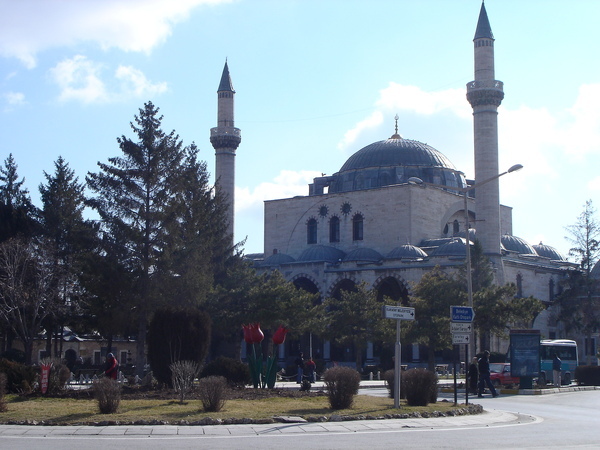 Being an industrialised city (for Turkish standard at least), Konya is famous within Turkey for its religious conservatism. I am curious to find out if this is true: the best way to find out is to visit the city on my own. My first impression of Konya is a favourable one: the people in the city are friendly and they help you find your way without asking anything from you (unlike their notorious neighbours in Cappadocia). Tourist Attraction No. 1 in Konya: the Mevlana Museum (Entrance: 2 YTL as of 01/2009) The fact that in Konya, everybody paid the same price for museum entrance regardless of your nationality, gives me an even better impression about this city. 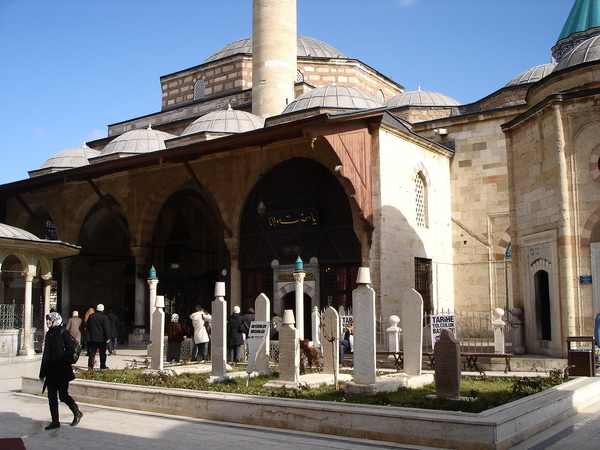 Inside the Courtyard of Mevland Museum and the entrance to the Tomb of Mevlana Celebi and his disciples. After the overtly commercialised tourist haunt called Goreme in Cappadocia, it is such a welcoming relief to be here in Egirdir and to know that not all Turks think of tourists as nothing but a walking ATM. 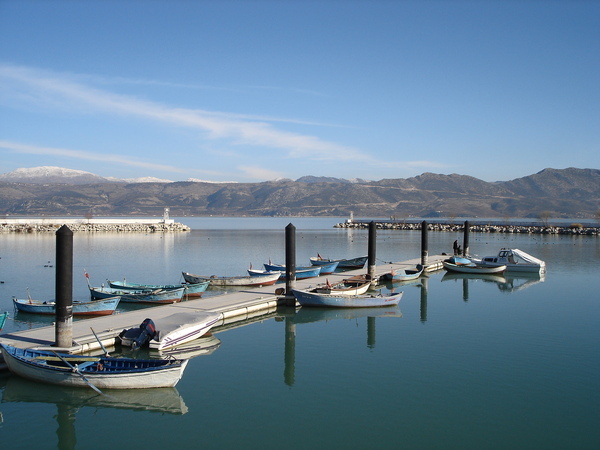 The town of Egirdir is well-known amongTurks for good seafood, especially fish. 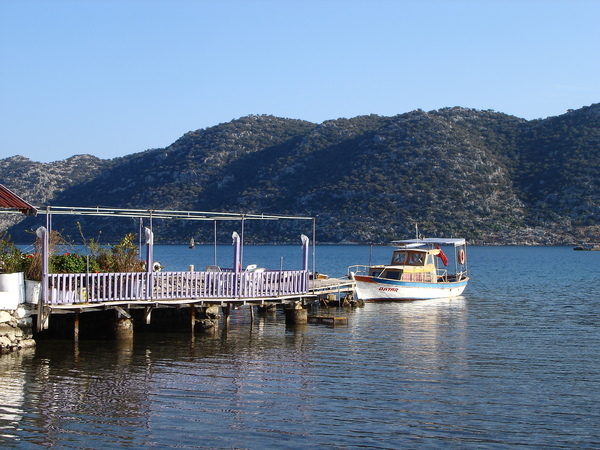 Local residents still go out to the lake with their small fishing boats and fish for themselves and for the restaurants that lined the island of Yesilada (Turkish: Green Island). Once in a while, I read about some tourists complaining about the lack of culinary variety in Turkey. It seems there is a deep-lying (mis)conception that all you can eat in Turkey is doner, kebab and bread. This always makes me wonder: where have these guys visited during their visit and what have they been eating all the time? OK, although I would not go as far as to place Turkish cookings on the very top of my World Culinary Scale (for your information, the top 4 on the Scale being: 1. Italian 2. Thai 3. Indian 4. 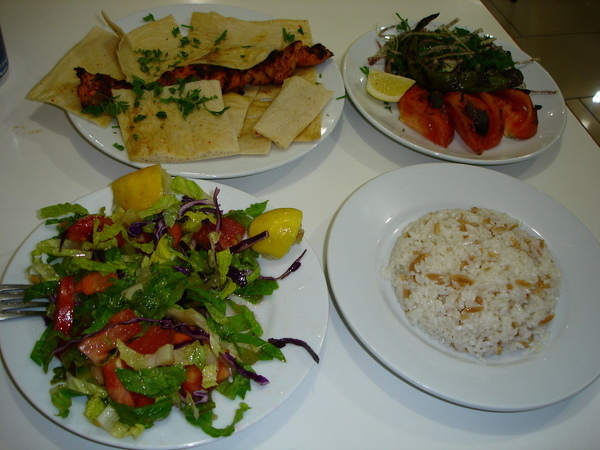 French), nevertheless Turkish cookings are delicious, nutritious and satisfying.